The older I get, the more disappointed I am to see how society seems to be o.k. with the fact that families have far less time together than they did when we were young. There have been so many references to the “breakdown of the family unit” over the years, yet there doesn’t seem to be anyone trying to reverse the damage. It may sound old-fashioned, but I remember a time when you sat down at the dinner table every night with your Mom and Dad and brothers and sisters, talked about your day, made plans together, and actually knew what each other was up to , interested in etc. You did not leave the table without politely asking to be excused. There was no watching t.v. or running off to play video games or text your friends – you actually had to face real people, engage in conversation, learn social skills. This is why, as adults, we are capable of having good relationships with others – we spent quality time with people that cared about us, and we cared about. We learned to think about people other than ourselves. In the present, both parents usually have to work, kids get less supervision, and the result is way more stress, and more problems. People struggle just to pay the bills, ( even on 2 incomes ) they come home miserable after a bad day at work, then their children or partners get the brunt of it …. what happened to quality family time? The thing that bothers me the most is that “back in the day”, hard work, honesty, reliability and integrity got you somewhere in a job. You put in your 40 hours, got your 2 days off, were home for dinner every night ( because that was important family time ) and could plan things. Companies seemed to value their employees, and they were open for business certain days and times, then closed so people could have lives. I realize that times have changed, and many companies are having a hard time staying afloat, but why does everything always have to boil down to greed, and making more money ? Businesses are now all about staying open later every night, being open 7 days a week … but, at what cost? (Yes, there are certain essential services that must be available 24 hours a day, but do we really need stores open all the time? ) Any intelligent employer knows that treating your employees with respect and dignity and fairness will result in them respecting you back, and being a better employee. When you start making your workers stay later, ( therefore missing dinner with family ) or come in on a normal day off ( again tearing them away from quality time with loved ones ) you are going to have a bitter employee. Everybody needs sufficient “down time” – time to relax, unwind, recharge their batteries, so to speak. Parents need time with each other, and their children, couples need time together … but everyone seems to want everything now, nobody is willing to wait for anything, and many think the world revolves around just them. As a result, businesses feel they need to be open all the time, to make sure they make all the customers happy all the time ( and that they get more money themselves ). What about their employees – don’t they deserve a life? Wouldn’t a company rather retain good, quality employees by giving them time to have a life? Everything does not need to be open all the time. Change is not always a good thing. Convenience has gone too far. 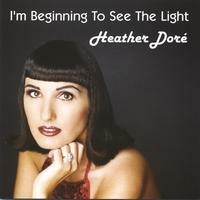 My Jazz CD “Beginning To See The Light” now available digitally! I’m very pleased to let you know that My Jazz CD “Beginning To See The Light” is now available digitally! Giving new life to old music has always been fascinating and means a lot to me. My first professional release was Jazz instead of pop as I was greatly influenced by my friend Michael Buble as well as the vocal jazz performances in Vancouver. I blogged more about that here. Music by Dean Martin, Bing Crosby, Frank Sinatra, and the ‘Crooners’ reminds me of wonderful music that brings me where I am today in the music world. I grew up listening to meaningful music and lyrics from Jo Stafford, Peggy Lee, and Judy Garland. What I liked the most about this kind of music was the purity in their vocals and meaningful lyrics. My passion for music led me to explore and study flute, piano, singing and acting. Through my album of jazz classics ‘Beginning To See The Light’ I have rediscovered my passion for 80’s pop and disco music, and realized that despite my love for Jazz, that is my true calling. I am touched to hear that my album has a nostalgic touch and has brought back fond memories of high school days to many of my listeners. Working hard and hearing that my work has touched someone’s life with sweet memories brings me the satisfaction and confidence to create more such music. Talking about ‘Beginning To See The Light’, I am thrilled with the wonderful reviews from my international listeners over the years. Friends and fans have recognized my work on this CD… One of my fans wrote she likes ‘Beginning To See The Light’ so much that she listens to this CD whenever she is home. The first song on the album has received great reviews. We worked very hard and spent a great deal to put this album together in the best way possible and it is so delightful to hear from listeners that “the songs have been beautifully arranged to make my voice shine”. Hearing it being called a “playful yet sophisticated arrangement” was such a motivation to make this album available in more than just CD format, as individual songs as well through iTunes, Napster, Rhapsody, eMusic, Amazon MP3, Groupietunes for mobile ringtones, and more, linked on my music page. It’s also available in regular CD format on CD Baby. I am thankful to all my friends and listeners for promoting my work mostly through word of mouth. I believe it is a great strength to have such wonderful people like you who ensure that I am able to bring out the best in my work and also that more people get to know my music. Comments Off on My Jazz CD “Beginning To See The Light” now available digitally! Pretty much everyone has something they enjoy doing that relieves the stress of daily life. When I lived in the city, my favourite way to “let go” of anything negative in my life, was to hit the dancefloor at local clubs. Any of my friends can tell you that I LOVE to dance. (“Love” probably isn’t even a strong enough word. ) When I am dancing to music I love, surrounded by a few friends, with lights flashing – I feel completely free. It’s as if nothing bad can touch you, and you can absolutely be yourself, “let go”, and let the music transport you to a better place … what an incredible feeling. Now that I have relocated to The Sunshine Coast, well, they don’t exactly have clubs up here… so going out dancing is a little bit more difficult. It’s alright, though, because I have found something else that I am really enjoying that helps get rid of stress – hiking. O.k., once the people that know me well stop laughing after reading that – I’m not exactly known for being what one would label an “outdoorsy” type – I hope they will keep on reading. There are some fabulous places to hike up here, and we are taking full advantage of living in such a beautiful area. Two weekends ago, we hiked to our favourite spot, out at Smuggler’s Cove, and just last weekend, went to the Skookumchuck. It is fresh air – and believe me, the air up here is very fresh – exercise, a great way to spend time together and talk, or just enjoy the sounds of nature. We really enjoy taking pictures along the way, as well. The reward, at the end of the trail, is always a breathtaking view of the water, while sitting atop a big rock. It is easy to forget anything you had been worrying about when you are surrounded by such gorgeous scenery. By the time you get back home, your calves may be aching a bit, but you really feel like you accomplished something. You end up feeling great, and it sure makes for a peaceful, sound sleep later that night. As the weather continues to get warmer, I am looking forward to exploring more hiking trails up here. It’s wonderful to have found another active way to let go of anything negative.